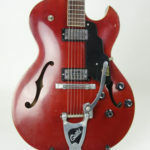 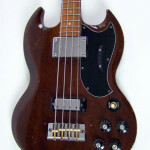 The ES-120T is probably one of the best value for money vintage guitars available and this guitar comes from the first year of production in 1962. 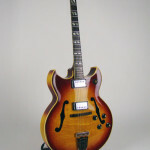 This single pickup sunburst thinline is highly responsive and very well finished as you would expect from a Gibson of this era. 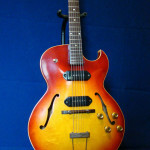 Essentially an ES-125 in terms of design, but with externally mounted electrics, this guitar has an impressive array of tones available through it’s surprisingly powerful single coil pickup ranging from a very sweet blues tone through to Scotty Moore style rock-a-billy and even classic rock when pushed through a good tube amp on the edge of break-up. 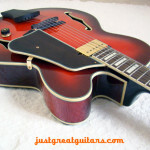 The Gibson ES-120T is probably one of the best value for money vintage guitars available and this guitar comes from the first year of production in 1962. 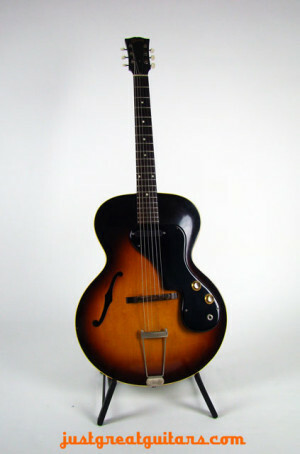 This single pickup sunburst thinline is highly responsive and very well finished as you would expect from a Gibson of this era. 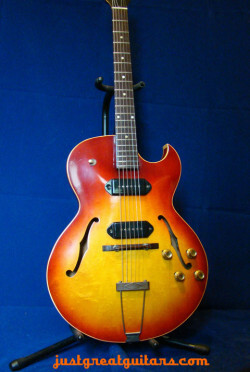 Essentially an ES-125 in terms of design, but with externally mounted electrics, this guitar has an impressive array of tones available through it’s surprisingly powerful single coil pickup ranging from a very sweet blues tone through to Scotty Moore style rock-a-billy and even classic rock when pushed through a good tube amp on the edge of break-up. 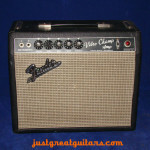 Interestingly, we found the acoustic tone from this instrument to be as good as its amplified sound. 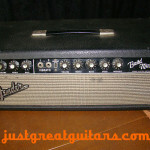 A real ‘plus’ for situations where you have to back off the volume a bit or go ‘un-amplified’. 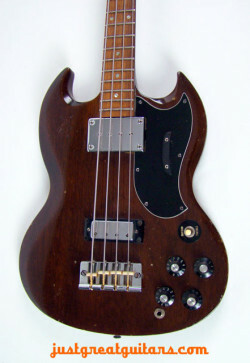 The guitar is in very good condition considering its 50 years existence on the planet, with only some minor cosmetic ‘dings’ and a slightly bent tuning peg on the G string. 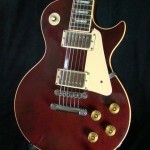 The neck is fabulous to play with a very comfortable low action throughout, excellent intonation and very little fret wear. The electrics and input jack are all mounted within the retro-style black pickguard, which has been expertly repaired, and the guitar has clearly been well cared for over the last 50 years. 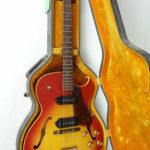 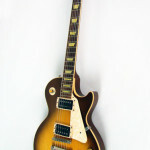 Whether you are a student or already a master of the guitar, you won’t be disappointed with this gem of a vintage guitar.